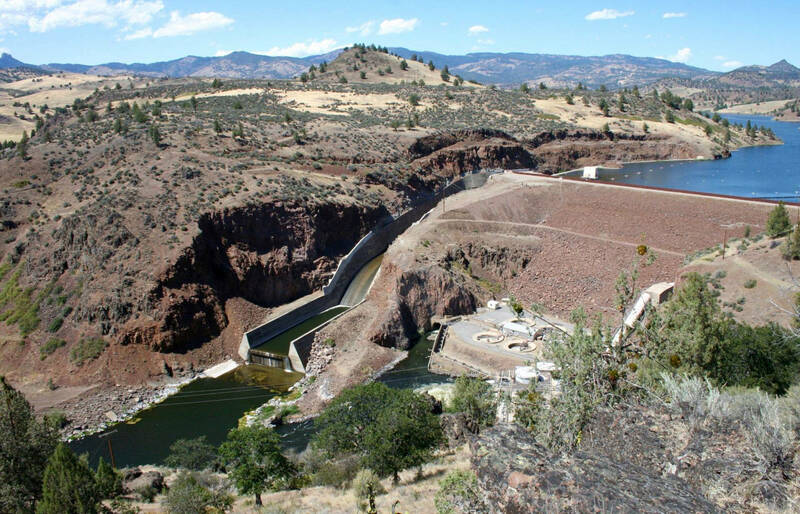 The owner of four dams on the Klamath River and the nonprofit corporation created to take responsibility for their destruction recently filed long-awaited applications with federal regulators to remove the dams. “This is a major milestone,” said Mike Carrier, chair of the nonprofit Klamath River Renewal Corp. (KRRC), an entity created to oversee the massive dam removal process. Federal officials estimate decommissioning and removal could cost at least $290 million, with that work to be paid for by ratepayers of PacifiCorp and the state of California’s Proposition 1. Portland-based PacifiCorp submitted paperwork on Sept. 23, seeking permission from the Federal Energy Regulatory Commission (FERC) to transfer ownership of the dams to the Klamath River Renewal Corp. KRRC joined that application, and is separately asking FERC to approve dam decommissioning. The Klamath River, which flows 263 miles from the plains of south-central Oregon to the rocky shores of California, is claimed by two states’ worth of farmers, fishers, native tribes and environmental groups. It once teemed with chinook, coho, steelhead and other trout runs throughout the year. Several Native American tribes, including Yurok, Hoopa and Karuk nations in California, have relied on its waters for thousands of years. Diverse interests have sparred over the Klamath for more than a century, when upriver dams began to enable irrigation, control flooding and create hydroelectricity. Since 2001, a year when upriver farmers’ water allocations were cut off, and 2002, when 70,000 fish died downriver, representatives of those diverse interests have negotiated ways to share the river and its resources. In 2011, the Klamath Hydroelectric Settlement Agreement and the Klamath Basin Restoration Agreement aimed to improve water quality and fish habitat as well as create a framework to share water and end bitter water rights battles. But Republicans in Congress blocked the deals until they expired last December. Now applicants want to decommission and remove four of the Klamath’s five dams -- J.C. Boyle, Copco No. 1, Copco No. 2 and Iron Gate Dam -- with work to begin in four years. But even with the support of PacificCorp, dam removal remains unpopular in some circles. Political leaders, including county supervisors in Siskiyou County, are vowing to contest the FERC application. This is the first in a series of stories from the Klamath River basin. In the coming weeks we'll continue to look at the politics, the people and the fish.